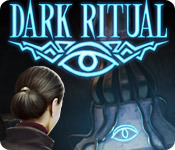 Dark Ritual is rated 3.7 out of 5 by 54. Rated 5 out of 5 by Boomer1097 from Fun Game - Mainly HOS I really enjoyed this game. You play as the sister of an FBI agent who has gone missing. 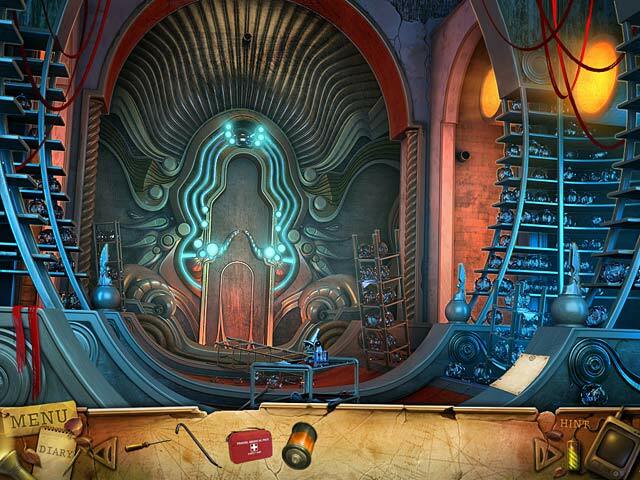 Her partner asks you to help him track down the evil doctor who has kidnapped her. This is an older style game with no voice overs and lots of HOS. The graphics are good, the cut scenes are informative (no voice overs) and have to be read and the music is okay. There are lots of HOS and most are junk piles, but they are fun to play. There are a few mini games, none of which are difficult. 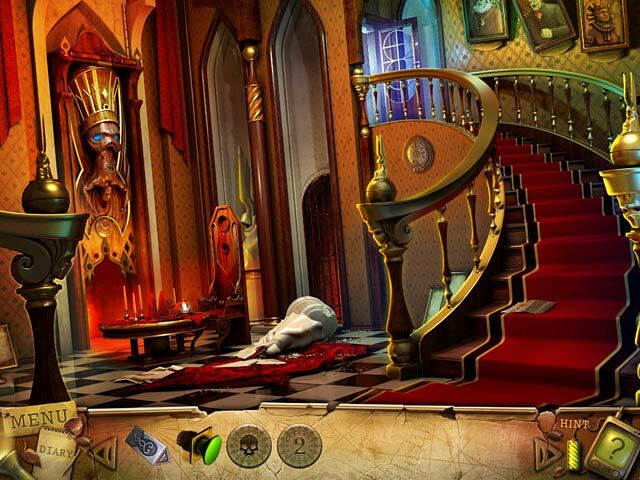 The story is engaging and keeps you moving through the game. There is a journal with helpful information. The hint button is useful, but you won't need it often (if at all). This game is a change of pace from some of the newer games, but I enjoyed it. The ending was satisfying, but set you up for a sequel. I recommend this game for those who enjoy playing mainly HOS or those looking for a change of pace from some of the newer games. Rated 5 out of 5 by cejene from Great HOG! Well done. Good story, good length. A little addicting. Had to get the Doctor. What a rush. The hint system works well and is fast to recharge. Really enjoyed this game. We need more like this. Rated 5 out of 5 by sapoe from just good I played this one when it first out and yes, I have fun (I never leave a review before). If you are a HOG lover well try this. That's way, I give it five stars because this game is good for my lazy time. Btw, thanks dev. Rated 5 out of 5 by Fishpole from GREAT GAME FOR BEGINNERS TO START ON! I thoroughly enjoyed playing this game. The storyline was interesting. The HOS scenes were both fun and challenging. Once you got the 'hang' of the language used for the objects, I didn't have much of a problem finding them. I particularly liked the factor that the 'hint' button would help you out when you would get stuck on what do do next. And it recharges very quickly. Some of the puzzles were beyond my expertise, but the 'skip' button helped there. The graphics were crisp and clear on my laptop, so I really have no complaints. In fact, I purchased the 2 sequels - Reincarnations: Uncover the Past and Elixer of Immortality. Way to go Vogat!!! Rated 5 out of 5 by arnold1049 from Best One So Far This is the best game I've played so far. I loved every part of it. 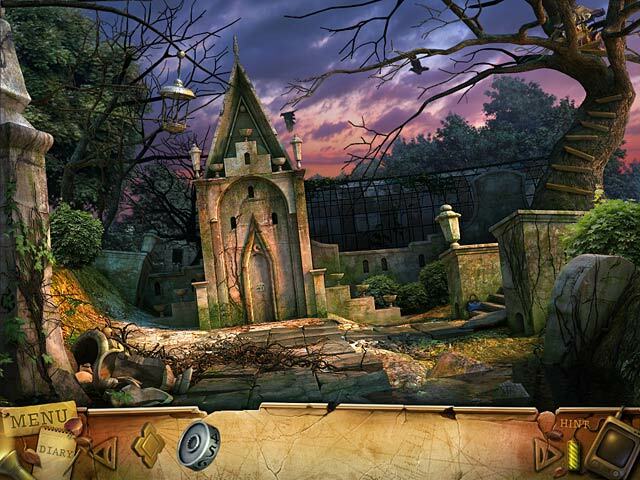 Great story line, excellent puzzles, lots of HOS. But what impressed me most was the quality of the hints. When I wasn't sure where to go next, the hint actually told me where to go, instead of just giving a canned response of "nothing left to do here". This was a great help and I did not have to use the walk through or strategy guide at all. The game was so good, I played it all night and could hardly wait to get back to it. Hope I can find more games this good. Rated 5 out of 5 by Dxtreme45 from AWESOME!!!!! This game is the best I've had the pleasure of playing. The objects are in plain sight, yet well hidden. I love this game. Rated 5 out of 5 by gooberteasdale from Loved It! This is an excellent game. Thanks BF for offering this for $3.00! I don't know how I missed this game the first time. The developers had a complete vision. The music, sync sound FX, story, and stereo atmospheres were so well blended. At first I thought "Oh no! Not another lost sister story!" - but this game breaks all the rules. Don't be fooled - don't treat this game like so many others that look like this one! READ all notes and DON'T skip any dialogue! clues,clues,clues! Yep, there are a ton of locations - but you don 't need a map - the Hint does it all. Speaking of maps - the map in the subway car can be used to skip to another location even before the map is complete! Cool! This is a keeper!